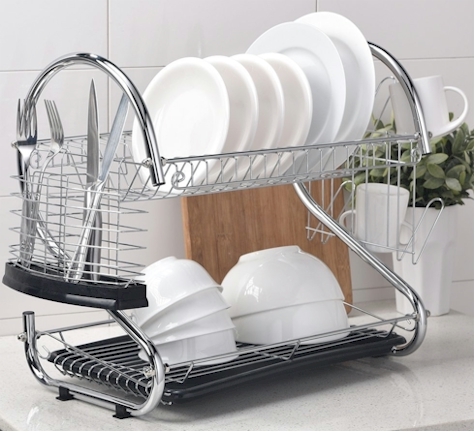 Amazon has got this Ufaucet Two Tier Dish Drying Rack for $21.99 with free Prime/SuperSaver shipping. It's unrated as of yet, but it's an Amazon #1 New Release. It comes in either chrome & black or chrome & white.